In late 1999, Bob was asked by Peter Franco, an assistant editor at Marvel Comics, if he'd like to try writing comic books. Pete had read Bob's Red Death trilogy and thought that Bob could bring something new and different to the Marvel Universe. After discussions with Pete's boss, editor Mark Powers, Bob agreed to write Cable, one of the X-Men titles published by Marvel. Bob's first issue of Cable debuted in March 2000 as part of the "X-Men Revolution," a month when a number of well-known comic book writers and artists began or returned to work on a number of the X-Men titles. Cable was the 12th best selling comic book (out of over 300 titles published) in March, its highest ranking ever. After that, sales slipped somewhat but Cable remained among the fifty top selling comics every month of Bob's run. As is the way of comic books, Bob's run on Cable came to an end in September 2001, as the X-comics underwent another radical shakeup. Still, Bob's vision of Cable was extremely popular and his first story arc for the comic, Cable 79-84, titled "The Undying," was nominated as best horror comic book series in 2000, by the Horror Writers Association. Though Bob lost to Alan Moore, being one of the five finalists was pretty extraordinary for a first-time comic scripter. Bob continued to write comic books for Marvel. His own creation, Nightside debuted as part of Marvel's "creator-owned" comic line in October 2001. The four-issue limited series was a supernatural detective adventure that Bob described as a cross between "The Avengers (with Diana Rigg) and Dracula." Nightside won the Horror Writers Award for Best Horror Comic of 2002. Bob also worked on several other comic book projects in late 2002 and early 2003. If you love reading comics and think you'd like to try your hand at writing one, don't miss Bob's informative article, How to Write Comics & Other Stuff and check out the Script for Cable #83. Click on any comic book cover to see a larger version of it. 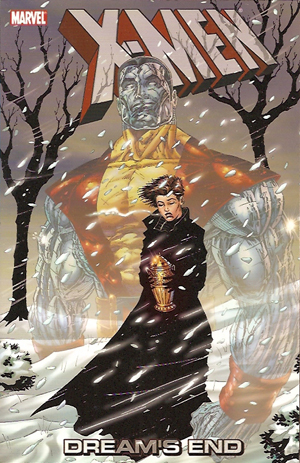 TM & © 2000 and 2001 Marvel Characters, Inc.
X-Men, Dream's End is a trade paperbound book that reprints the multi-part series, "The Death of Colossus" that took place during Bob's run on Cable. The comics reprinted in this volume include Uncanny X-Men 188-190, Cable 87, Bishop 16, and X-Men 108-110 on glossy paper. Of course, being the Marvel Universe, Colossus was brought back to life several years later. Still, most of these issues are out of print and Cable 87 is fairly hard to find. The X-Men�-- a dark, dramatic chronicle of mutants endowed with superhuman powers-- is one of the most popular franchises around. Fans will snap up this classified dossier on the most dangerous of the breed. 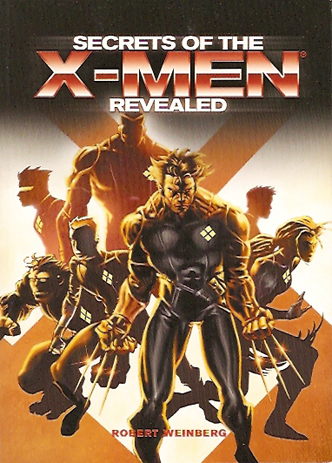 Each character-- from Professor X to Wolverine-- receives an in-depth and dynamically illustrated profile complete with confidential histories, grup affiliations, extraordinary abilities, and secrets unknown to mere humans. Find out which X-Man� can walk through solid objects; shift shape and appearance; focus energy from another dimension into destrutive optic blasts; and absorb the thoughts and memories of others just by touch. Remember: use this knowledge cautiously. The fate of humanity depends on it! ™ and © 2006 Marvel. This handbook is produced under MARVEL license. For more than 40 years, Spider-Man™ was a web-spinning, wall-crawling crime fighter who regularly saved society from unspeakable villains, but who carefully concealed his identity. Then, the world discovered he was ordinary Peter Parker, transformed by a radioactive spider-bite, and it seemed that all of Spider-ManT™'s secrets were known. Not so! 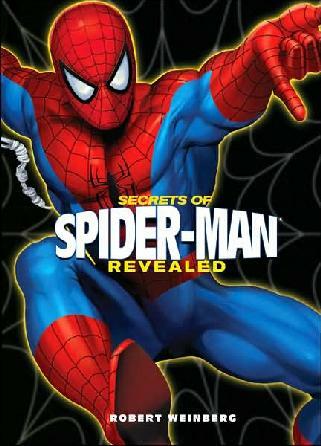 Secrets of Spider-Man™ Revealed shows just how much more there is to your friendly neighborhood Spider-Man™. Spanning the full length of the popular character's colorful career, it offers heretofore hidden and detailed descriptions of his powers and accessories, his friends and adversaries, and his most exciting adventures. Full of facts and fun, this handbook is an indispensable guide to a classic comic book hero and a superb accompaniment to the blockbuster movie, Spider-Man 3, released in May 2007. And that's no secret.